“What a great day for the region. 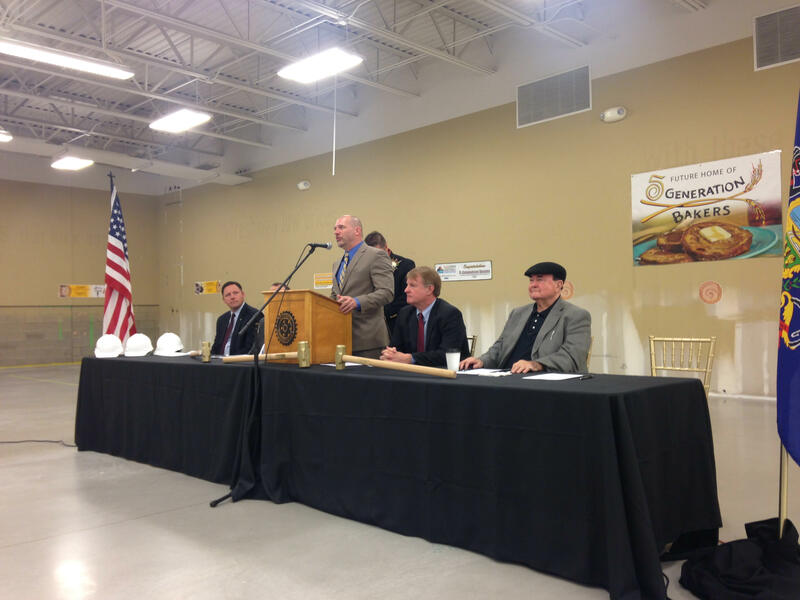 What a great day for McKees Rocks!” exclaimed Allegheny County Executive Rich Fitzgerald. That day was October 20; the day McKees Rocks’ 5 Generation Bakers broke ground on its new 18,500-square-foot bakery facility housed in the former Bottom Dollar on Chartiers Avenue. About 150 people including community members and local politicians turned out for the groundbreaking ceremony. Guests were greeted with food from Uncle Charley’s Sausage Co. Food Truck – a new partner that will help the bakery roll out breakfast sandwiches as a result of the expansion. And, if you’re a fan of the bakery’s famous cinnamon swirl bread, a Jenny Lee staple, you can look forward to more savory breads in the near future. The expansion will also allow the company to bake three times the amount they produce now, install state-of-the-art equipment and create 60 new jobs. Over the past year, the family-owned business has worked closely with the McKees Rocks Community Development Corporation (MRCDC). According to Scott Baker, 5 Generation Bakers founder and president, the company is in talks with Farm Truck Foods who will potentially operate the future retail space that will sell produce. Farm Truck Foods currently travels to communities like McKees Rocks offer fresh, local and affordable produce. Baker also let the audience in on some advice he was given in the beginning five years ago: his dad actually tried to dissuade him from starting a bakery. Well, we’re sure glad he didn’t listen to his father (who is now one of his biggest supporters). “This bakery is essential to what it means to be from McKees Rocks,” said Vrcek adding that 5 Generation Bakers has been one of the greatest employers in the Rocks. The project received economic development support from the PA Department of Economic Development and Small Business Administration financing through Huntington Bank.